Precision factory welded railing sections speed and simplify installations. 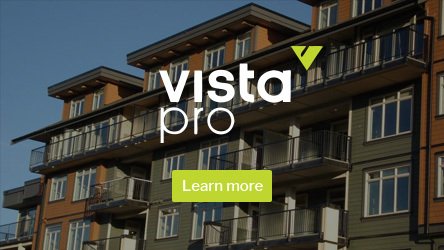 Whether utilizing standard size sections to optimize cost or made to measure sections to optimize efficiency, Vista Railing Systems provides your solution. Fully pre-assembled sleeved post speed and simplify assembly. Rails: Premium powder-coating and contemporary styling. Each panel includes top and bottom rails with welded pickets. Posts: Fully pre-assembled sleeved posts with the pre-attached sleeves and connectors. Bottom rail bracket comes pre-attached. 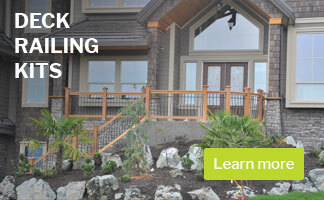 Cost-effective!On sight labour is the most expensive components in the installation of your aluminum picket railing. 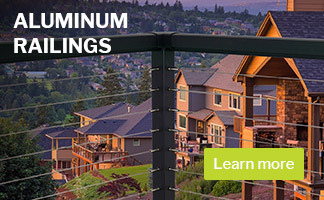 We have focused our 40 years of experience and expertise studying the work of installers to speed up and significantly simplify the assembly of Vista™ Aluminum Railings. In addition, through packaging and pre-assembly, we have significantly reduced the number of components in our railing system. Fewer components lowers the cost for dealers to stock and ensures more products in stock and a faster delivery for you.